Home » What is the Green Deal? Going green can be an expensive business, from getting your loft lagged or putting in double glazing to installing energy efficient heating or even solar panels. The Green Deal is a way of financing your home improvements by a loan which is paid through the savings on your energy bills. For instance, if you secure a loan to have a new boiler, the efficiencies you receive on your electricity bills will be used to link to repayment. Once the amount has been repaid you will benefit from all the savings of your new efficient boiler. It is important to note that a Green Deal loan will only be agreed if the savings on your electricity bill will pay for the loan. To give you an idea if you would be eligible for the Green Deal, you can carry out a quick self-assessment here. It’s a good idea to do this before you contact an assessor. Note of caution: The Green Deal is only really suitable for those properties that either have poor energy ratings or use a large amount of heating and electricity each year. Always check for other financial options as well for a comparison, especially if you intend on living in the property for the duration of the loan. A Green Deal finance loan may not cover the full cost of the installation, so please be aware that if this is the case, then you will have to forgo some items or find other capital to pay the balance. The first step you can take to improve your home and find out whether you would be eligible for finance through the scheme is to get an assessment. This is conducted by an approved company that can visit your house, check it over and produce a report on what can be done and whether recommendations are cost effective. You will normally have to pay for this service. How many people live in your home (occupancy assessment)? What types of appliances and heating are being used? How often is the heating system used? Do you have current energy-saving measures installed? Do you own or rent the property? The assessor will then produce a Green Deal Advice Report which will include an Energy Performance Certificate that shows energy usage for a comparable property and an Occupancy Assessment showing what you actually use and ways of reducing your consumption and the savings you can expect. 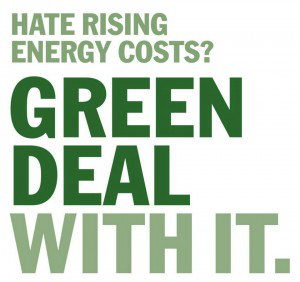 You can find out more about the rationale behind the Green Deal and assessment at theEnergy Saving Trust. What Next for Green Deal? Once you had your assessment, you were in a position to contact any authorised Green Deal provider to implement any of the plans that have been suggested. As with most things, it is a good idea to get a number of quotes that will include the interest on your loan. All reputable providers should carry the Green Deal Quality Mark which shows that they meet the right standards and are authorised to offer the deal. Note of caution: The Assessor may well be on commission or work for a Green Deal Provider or a Green Deal Installer so make sure you get a range of quotations from other companies to ensure you get the best price, Find some here. Once you have selected the right provider, they will produce a Green Deal Plan which will include the work to be done, plus interest and payments on the loan. This is regulated under the Consumer Credit Act 1974 so there is a cooling off period and right to cancel once you have signed, should you change your mind. Repayments are fixed at the outset and include costs associated with the administration and provision of credit through the Green Deal Plan. Repayment levels are based on what a typical household like yours is expected to save on energy bills. The Green Deal is designed to try to save you at least as much money as you will have to repay. However the actual level of your savings will depend on how much energy you use (for example, to heat your home) and the future cost of energy. If you use less energy than a typical household you can take out a Green Deal Plan based on the typical savings shown on the Energy Performance Certificate. However, if you do this, your repayments are likely to be higher than your savings and therefore your energy bills are likely to go up overall, at least while the loan is being repaid. You could also discuss with your Green Deal Provider whether your repayments should be reduced, so that they are in line with the savings that your household is likely to make. Your Green Deal Provider can obtain a written acknowledgement from you if you decide to go ahead with repayments based on a typical household’s estimated savings. Unlike normal loans with a bank, your Green Deal repayments will be collected by your supplier via your electricity bill and is then passed on to your Green Deal Provider. Your bill will identify specific Green Deal instalments. Each year your Green Deal Provider will send a statement of account, showing how much has been paid off and how much is left. You always have the option to pay your Green Deal loan off before the end of the contract, though the provider may charge early repayment fees. 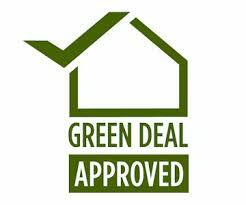 Green Deal repayments belong to the electricity bill for the property. So the person responsible for paying the electricity bill is responsible for making the repayments. If they move, the next electricity bill payer then takes on the repayments. An Energy Performance Certificate will show if there is a Green Deal connected to a home. This will show the improvements made, the repayment amounts and how long you have to keep up repayments for. If you own the property or are the landlord, you will have to provide a copy of these documents to the next occupier and get their written acknowledgement that the Green Deal is in place. If you are a new bill payer and believe the Green Deal Plan was not disclosed, you can dispute the charges with your Provider within 90 days of being notified. After 90 days you will not be able to dispute the charges and will be liable to make Green Deal repayments while occupying the property. You can switch electricity suppliers and keep up payment of the Green Deal Plan with a new electricity supplier, provided that they are participating in the payment collection system for Green Deals. It’s always a good idea to contact your electricity supplier for further information.